Matured coconuts are harvested from the coconut palm to extract coconut oil from the meat or kernel; it is edible and has various applications in medicine, industry and food. Coconut oil can be obtained from dry or wet processing; the dried meat is called copra, so it is also known as copra oil. Because of its high saturated fat content it is slow to oxidize and therefore resistant to rancidification, lasting up to two years without getting spoiled. Meat or flesh of coconut is exposed to sunlight for drying; it is also dried by direct heating. Copra is produced which is a dried flesh of coconut. Copra is further dissolve with solvent producing the coconut oil. The coconut used to make oil is not always fresh and may be left for months before sending it for processing at mills. Coconut oil has been widely used for hair care; it helps to grow healthy hair and give them extra shine. There is a misconception among many people that coconut oil is bad for heart health as it contains saturated fats in large quantity. But in reality this oil is highly beneficial for heart. It consists of 50% lauric acid that actively helps in preventing heart problems such as high BP and high cholesterol levels. The most weight loss friendly fat in the world is coconut oil. Its unique combination of fatty acids has powerful effects on metabolism. 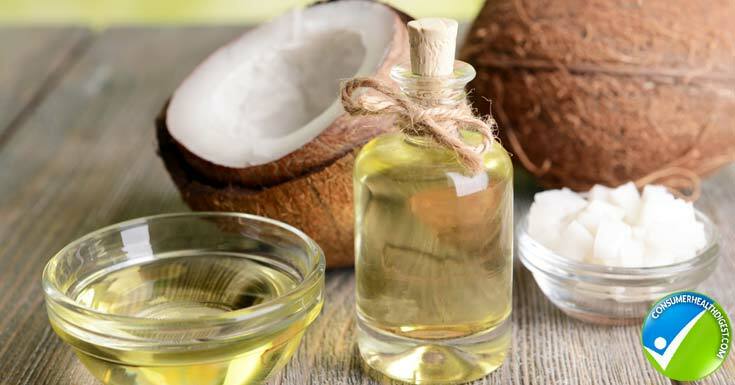 Several studies have shown that you can lose fat by adding coconut oil to your diet, the most important thing is that it helps to remove dangerous fat present in the abdominal cavity. Lauric acid is helpful in dealing with bacteria and viruses that cause diseases such as influenza and cytomegalovirus. It also helps in fighting dangerous bacteria such as helicobacter pylori, listeria monocytogenes including harmful protozoa giardia lamblia and the yeast Candida Albicans. 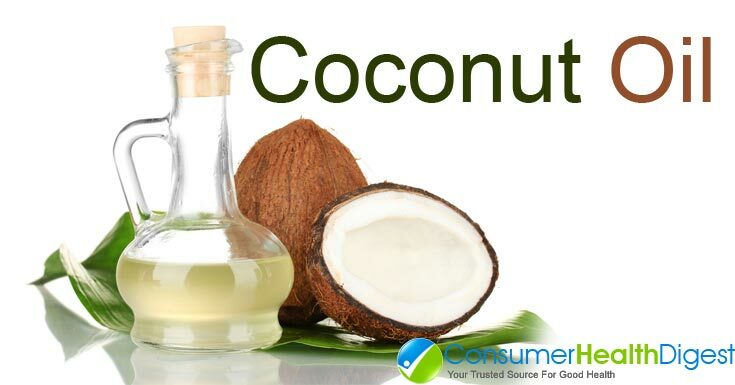 Coconut oil contains a form of saturated fat known as medium chain triglycerides (MCTs). These are totally different from long chain fatty acids present in other oils, in that they are easily soluble in water and so it rapidly get absorbed by the body. Through the hepatic portal system MCTs are transported in the blood as a result they bypass the storage fat cells called adipose tissue. This prevents fat from being deposited in those cells as well as consequently stored as fat. By a process called beta-oxidation they incline to be metabolized or fat burning and used for energy. This makes coconut oil very interesting from both an endurance sports perspective and a body composition. Coconut oil has a high fat content, there is one concern that you might gain weight if you consume it in large amounts or you might also increase cholesterol levels in the blood. However these apprehensions have not been proven in scientific research. Usually 5 – 15ml coconut oil is taken. Oral doses above this have a tendency to cause gastrointestinal upset in some individuals because of its high medium chain triglyceride content. For cooking, large doses of coconut oil are used where it can be diluted with other ingredients. Coconut Oil supplements are becoming popular day by day. It can be bought with other supplements that are advertised as refined or cold presses. Coconut oil solidifies at temperatures below 25oC because of their high fatty acid content.